In that respect, Business Coachingis very similar to sports coaching. In sports, a coach pushes an athlete to achieve optimum performance, provides support when they are exhausted and teaches the athlete to execute plays that their competition does not anticipate. Your Business Coach will do this with three goals in mind: First to get a snapshot of where your business is, right now. Second, to clarify your goals, both personally and in your business. And third, to get the crucial pieces of information needed to create your individualized ActionCOACH Business Plan for the next 12 months. We will work with you on your sales, marketing, team-building, and business development initiatives, and all elements of the ActionCOACH Plan developed from your Alignment Consultation. Unlike other consultants, yourActionCOACH will do more than just show you what to do … and 18 great reasons you´ll jump at the chance to get your business moving and make your dreams come true. Won´t this just mean more work for me? But, how will I find the time? Again, the first few months will be the toughest … not because of extra work, but because of new tasks. 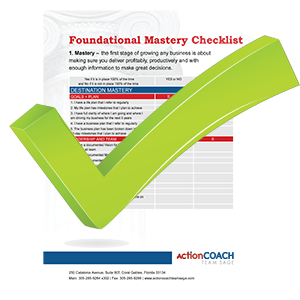 YourActionCOACH will show you how, on a day-to-day basis, to get more done with less effort. We can guarantee to provide the best service and support available, to answer your questions and challenges promptly, and with the most current and appropriate processes and approaches. And last, but not least, yourActionCOACH is fully committed to helping you become successful, whether you like it at the time, or not. What results have other business owners had? Why would you also recommend books, tapes, etc? 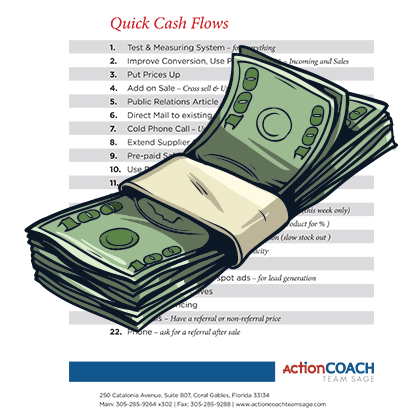 You´ll have to invest a few hours bringing your ActionCOACH on to speed up your business. Together you´ll create a plan … and that´s when the work starts. 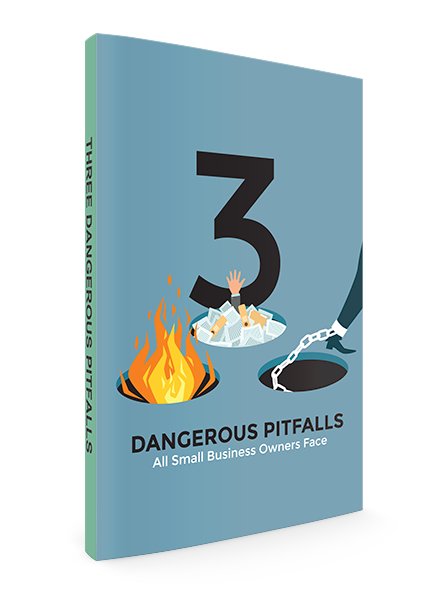 Far too many business owners wait. They wait for when things will slow down or to get through their current projects. Then, they never do because there is always some other project that comes up. They´re waiting for the perfect time to start.